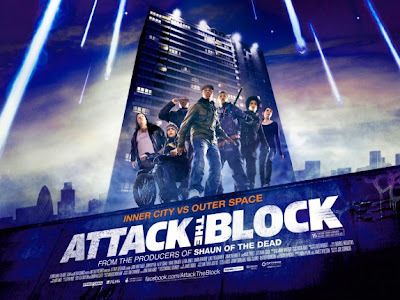 When I first understood what Attack the Block was about – aliens attacking the inner city. I pigeon holed it into a type of parody film made by lazy film-makers to cash in on other people’s creativity. I had also assumed given the inner city angle it would probably have a huge superficial why can’t we all just get along? Tacked onto it. In my defence I am not at all familiar with Joe Cornish and was unaware that he was behind the hilarious Quantum of Solace theme tune parody a while back. Somewhere between those very initial negative thoughts and the film being released my thinking made a detour. In discussion with someone (and for the life of me I can’t remember who) I mentioned the thoughts above, but in a lot more detail – they had seen Attack the Block and told me “oh no, it’s good, very good”. There opinion must have counted for something because I became interested in seeing Attack the Block, but as the marketing materials were released - I increasingly wandered how I felt about the whole hoodie/gang thing. The senseless violence perpetrated by hoodie types is no laughing matter and certainly shouldn’t be glorified. In fact when the opportunity came up for an early screening of the film in Brixton, my first thoughts were - brilliant! After blinging my mobile phone up with lights that activate when called, as well as replacing my ringtone with some really loudly distorted bad music I’ll head to the screening and get some of my own back. In the end I opted for another event. I am happy to report that Attack the Block is not lazy filmmaking and does not sugar coat or preach - quite the contrary – Cornish doesn’t compromise and makes a bold film that is a lot of fun. The premise for Attack the Block is that the deadliest species in the galaxy takes on the ultimate enemy. See what they did there? You have to work out which is which. So anyway we are introduced to the hoodies who are wholly unlikeable and prey on my middle class white fear as they should. And thankfully their mugging a young nurse (Jodie Whittaker) is cut short by a meteor crashing to earth. The gang head to the meteor crash site, where they have a hostile close encounter of the third kind. Afterwards they decide to head to the safest place they know – their local drug dealers den. So they head to the eponymous block where we are introduced to the bulk of the remaining cast of the piece Ron (Nick Frost) who does front of house sales for local drug baron Hi-Hatz (Jumayn Hunter – last seen in the hoodie home invasion shocker Cherry Tree Lane) and Brewis (Luke Treadaway) the middle class stoner client. While they are up in the fortified den atop a tower block - bigger meteors start landing and then it really kicks off. 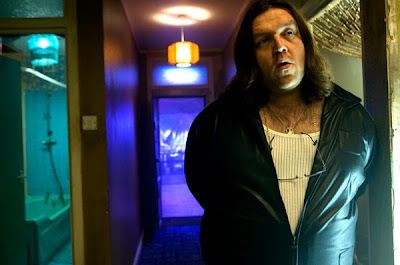 I really enjoyed Joe Cornish’s Attack the Block. Whilst I struggled with hoodies being the leads and the possible effect this may have on the yutes - I suspect it will be as dangerous down south for the next couple of months as going out in Brooklyn, within 2 weeks after any Rocky film has been released. Although I am completely opposed to any promotions that could lead to the furthering of Hoodies feeling accepted, implicit or otherwise - words like edgy, brave, cutting edge, gritty, expoitative and bold come to mind when I think about Cornish's use of the street gang. Yet, I was completely enthralled the whole way through. Joe Cornish masterfully keeping the fast pace of the film going as well as blending story, sound and light to keep it interesting the whole way through. 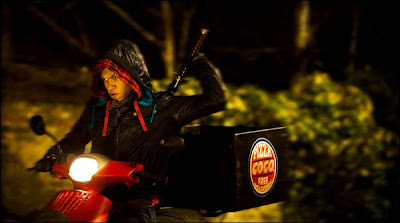 As well as with the established actors, performances are solid through-out as gang is made up of interesting characters and the actors playing; Moses (John Boyega), Dennis (Franz Drameh), Pest (Alex Esmail), Jerome (Leeon Jones) and Biggz (Simon Howard) are allowed to develop on screen and make each character unique and engaging, all whilst being despicable. Which is a bit of a dichotomy as one of my favourite films Walter Hill’s The Warriors is also about a gang, but by comparison to the other nefarious gangs in their film they come across as the good guys. The up side to this is that although the film is set about 5 miles from where I live – the magic of film presents an undiscovered country that my imagination can run wild and explore. Cornish does not try address social issues or underlying problems with the status quo, he also doesn’t sugar coat the film in political correctness - his film presents a situation and a bunch of different characters trying to make do in the situation. 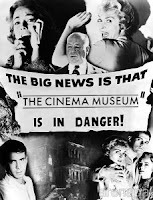 A big factor that added to my viewing pleasure of Attach the Block - is that with the increase in by the numbers filmmaking, re-makes, homages, parodying and copy & paste film we pretty much know how films are going to play out and despite a semblance to another film from the same producers ahem! Attack the Winchester anyone? Joe Cornish manages to maintain a high level of unpredictability throughout the film. I didn’t know what was going to happen next or the direction we may go in as we navigate through fast paced action scenes, funny one liners and some chills. 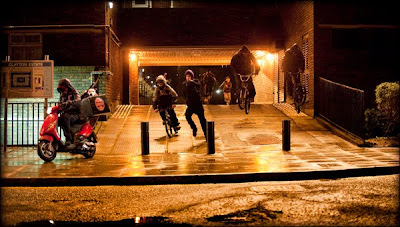 Even in the final stretch which is often the stumbling block for many films, Attack the Block surprises and entertains. The only overt references I caught were; the name of the block where most of the action place is named after John Wyndham author of The Day of the Triffids, in the book a similar meteor storm occurs and alien like plants invade. And this one is a long shock but the humour as well as the aliens are a nod to An American Werewolf in London and Jodie Whittaker’s character is an innocent nurse, as was Jenny Agutter’s character in An American Werewolf in London. 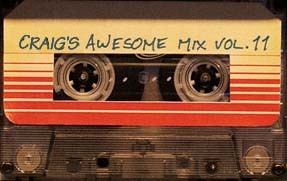 Also I should mention the soundtrack by Steve Price, Felix Buxton and Simon Ratcliffe (Basement Jaxx). The whole way through was like it was like John Carpenter had scored the film. I don’t mean in terms of music or style it’s much more contemporary and fits in with the context of the film - but rather the music pervades the film the same way a Carpenter soundtrack does building atmosphere and is much part of the film as the characters. In all honesty the only negative thing I can say about Attack the Block was that I wasn’t wild about the aliens. I can see what they were going for with a "blacker than black" and in illustrations it probably works very well. And although they are used sparingly thereby increasing their menace, but the Alien inspired glowing teeth let down the concept down slightly. Go see Attack the Block before the hype kills all the surprise.